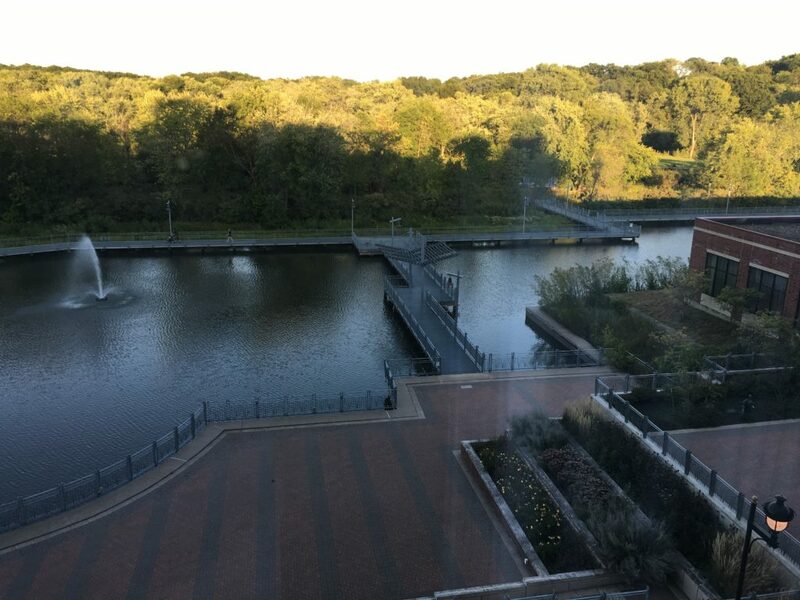 I enter my Iowa City hotel room and open the curtains to check out the view and there’s a flash of green in front of my eyes. It’s an actual, I-kid-you-not hummingbird flying outside my window. This is not your typical chain hotel just off the highway. This is the Coralville Marriott Hotel, not far from downtown Iowa City, and even closer to the Interstate 80 exit ramp. 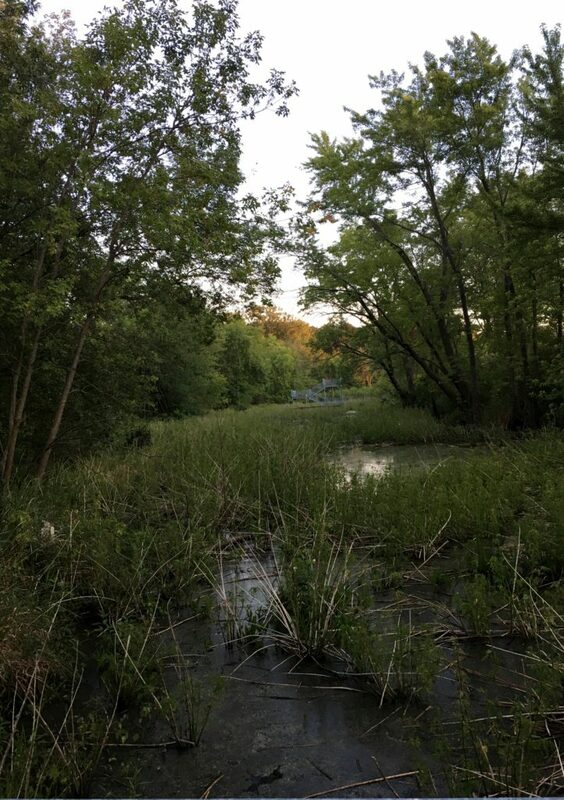 With the help of brownfields remediation grants (thank you, Environmental Protection Agency), the town of Coralville has cleaned up and redeveloped several acres of former wasteland. The Marriott Hotel is part of that redevelopment, and outside my window, I can see another component: the Iowa River Landing Wetlands Park. This charming park covers about 12 acres and includes ponds, an elevated walking trail, and wetlands plants. From the lobby, you walk right out the back door to a large plaza, past a raised bed garden where vegetables are grown for the hotel restaurant, and onto the nature trail. Follow the path through the park (or just walk out the front door of the hotel) and it brings you back to the rest of the redevelopment project: several restaurants, an antique car museum, and a historical society. There’s one more little gem inside the Marriott. Iowa City is the home of the famed Iowa Writers’ Workshop at the University of Iowa. 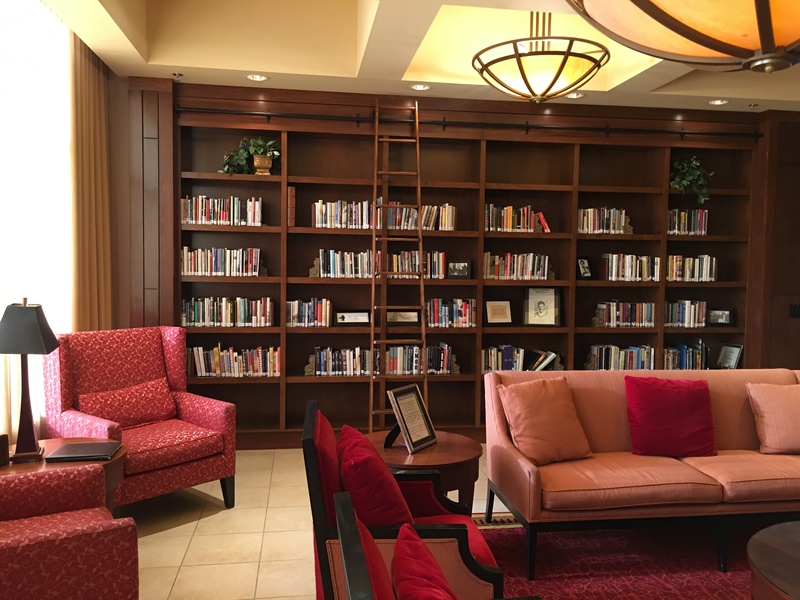 Off the hotel lobby is the Iowa Writers Library, a bright room lined with bookshelves full of books by faculty and graduates of the Writers’ Workshop. There’s a fireplace, some comfortable chairs, and even a rolling ladder you can use to reach the books on the top shelves. 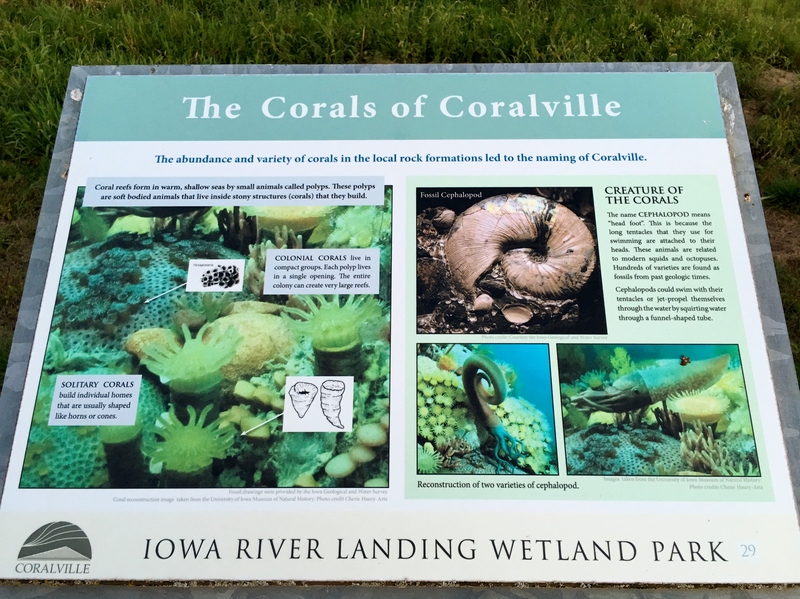 Wondering why it’s called Coralville? 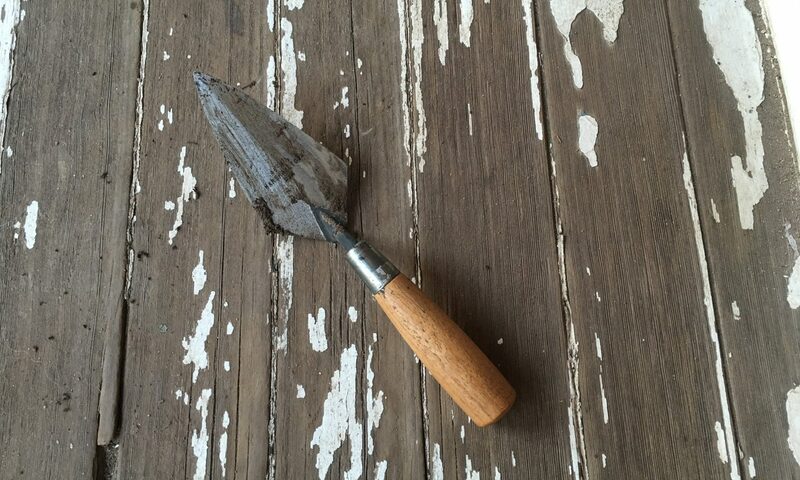 About 380 million years ago, during the Devonian Period, Iowa City and the surrounding area were under the sea. Extensive coral reefs formed in the water, and then became fossilized. Remnants of these reefs can be found throughout the area.